Finally my last post about Islands in WA, hope you have been enjoying them. 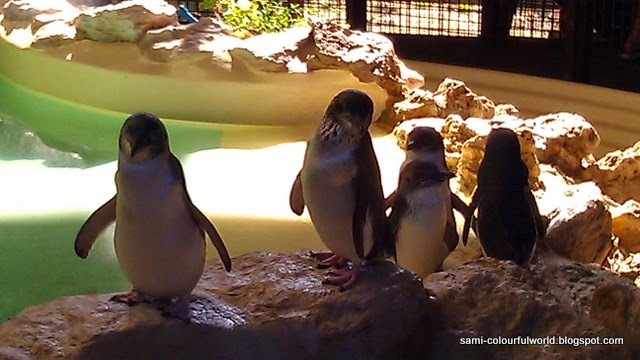 In this post I write about Penguin Island which is my favourite of them all! 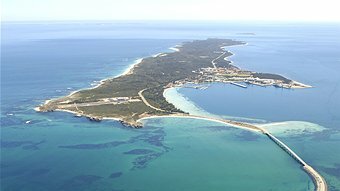 Garden Island is a limestone outcrop, about 10km long and 1 and 1/2km wide, just 5km off the coast of Rockingham, linked to the mainland by a road. It is now the base of the Royal Australian Navy. training base for the Secret services, known as "Z special unit". Royal Australian Navy reserve fleet. from the suburb of Shoalwater (near Rockingham). where the penguins are fed the ticket costs $17,50. 5th meal, so not very interested in eating any more! 14 years but in captivity they can live longer, and they are only about 30 to 40cm high. being chased by the fish instead of the other way round! regular feeds and contact with humans. With full bellies, now we can turn around and look at the visitors! and the current was too strong. 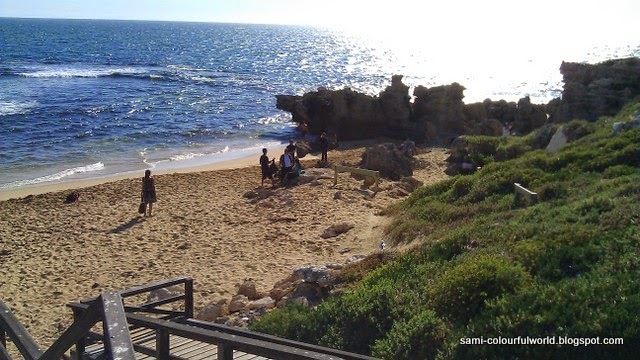 and you can swim, surf, snorkel, kayak or bird watch. seagulls, sea lions, dolphins, stingrays and over 50 species of birds. $85, visiting sea lions at Seal Island, the playful wild dolphins, stingrays and pelicans. Don't you think Penguin island is such a cute island? Are there small and interesting islands where you live? I really had no idea that Australia had so many surrounding islands! 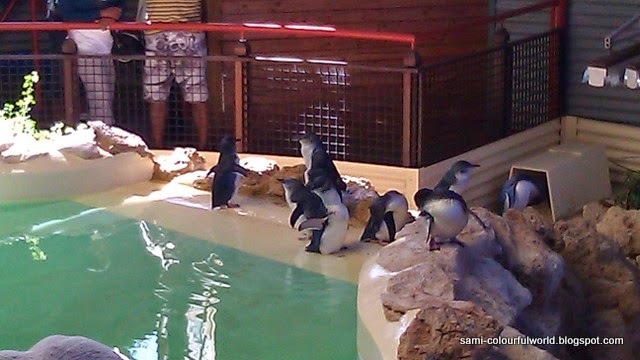 I just visited the Cape Town Aquarium and got to see some of our native penguins! I've always liked penguins ever since high school, our mascot was a penguin! Aren´t they just so cute! These ones especially being the tiniest ones, are just so sweet, I wish I could hold one! This looks like my kind of place! Are there some photographs missing? I can see several huge blanks! 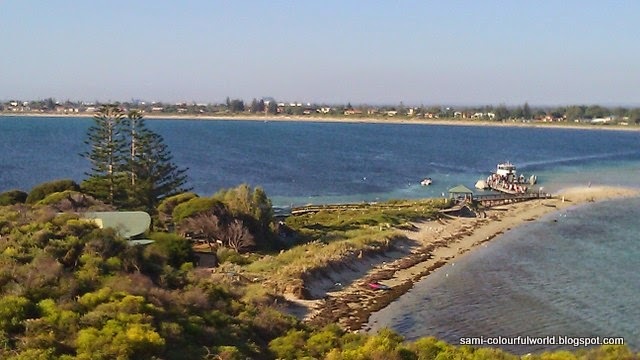 Can you believe I've never been to Penguin Island Sami, you've inspire me now..I'll have to get there before winter sets in! Gorgeous images and interesting facts. No Carole, I think it´s because of the photos being from my phone, that I can´t take those spaces, in fact when I go to the posting area, the spaces aren´t there at all! Can´t figure out what´s wrong! Hi Grace, I also just found out about the island last year, I can´t believe it, when I´ve been here for 5 years and have had lots of visitors who would have loved it! 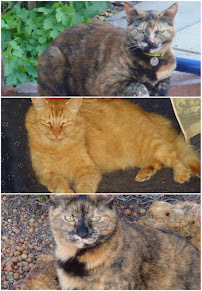 We moved from Adelaide to Mandurah in 2006. Before we came over i had a nightmare about a scary looking bridge that when up like an arc and in the dream Mat fell off it in his car. We spent a weekend in Rockingham and I nearly passed out when I saw that exact same bridge going over to Garden Island. Then I felt even worse when Mat told me he drove across it to work everyday. Australia has so many islands surrounded nearby it. 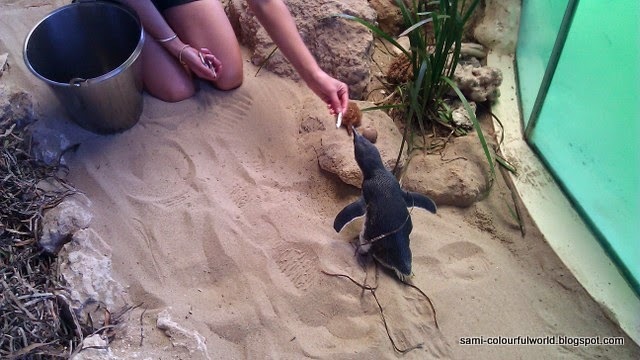 Here the pictures of penguin are quite interesting and thanks for sharing. Sharon - what an awful dream to have and then find out your husband works just across the bridge! Did you ever get to visit Garden island? How wonderful. 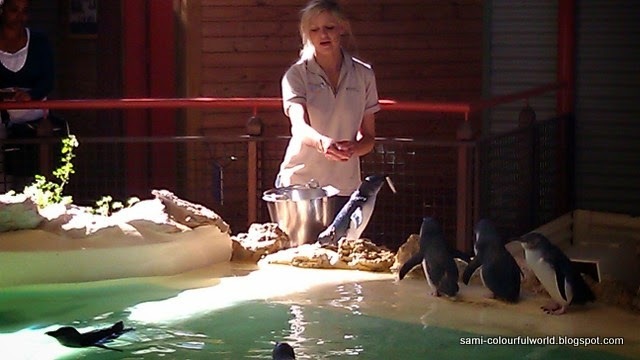 We only get to see penguins in zoos here, and no interesting little islands to report, here in the middle of France! They are so cute!!! Adorava ve-los! Coisinhas tao fofas!! We would feature your blog at InterNations and award your blog with a top expat blog badge. I always love to visit different places and have visited many famous destinations. Your post was very useful as it brought so many wonderful islands to my notice. I will surely plan to visit one of them this year. Keep updating. to prevent having to hotel to intense lows to get the express all but their soul, point you may end up costing you flatbottom farther.